Creating your own small space where you can work, play and relax is a challenge of creativity and individuality. However people from all around the world are making their dreams come true with practicality and style. 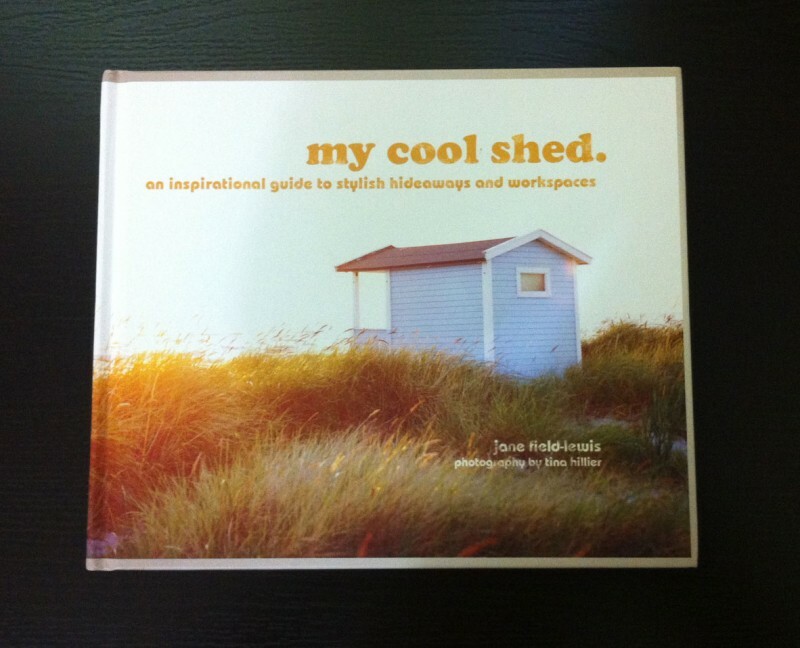 In the book “my cool shed“, by Jane Field-Lewis, you will find loads of inspiration for oh so beautiful sheds, cabins, studios and workrooms, lovingly created by artists, writers, gardeners, musicians, designers and more. 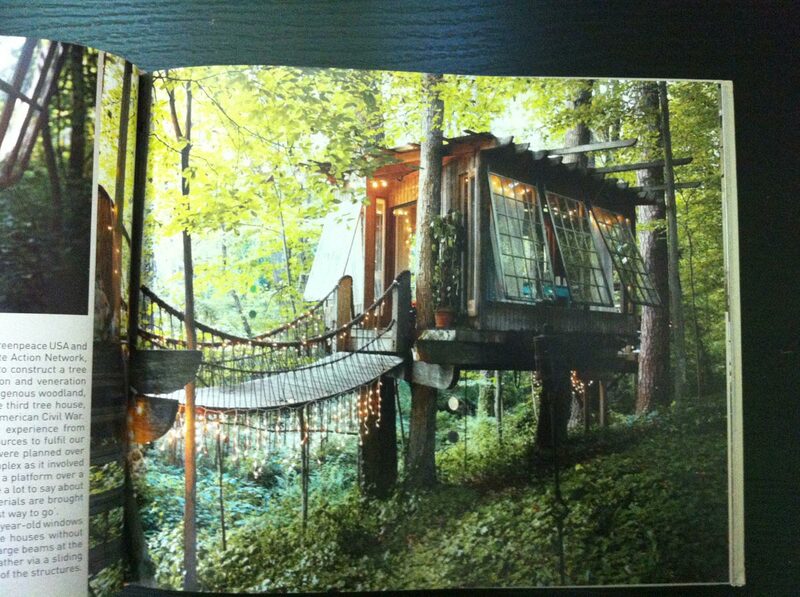 Continue reading to take a closer look at this amazing collection of private hideaways and the stories behind them. We will try to bring you a glimpse of our favorite sheds, which is no easy task as they are all wonderfully unique, both inside and out, as their owners. 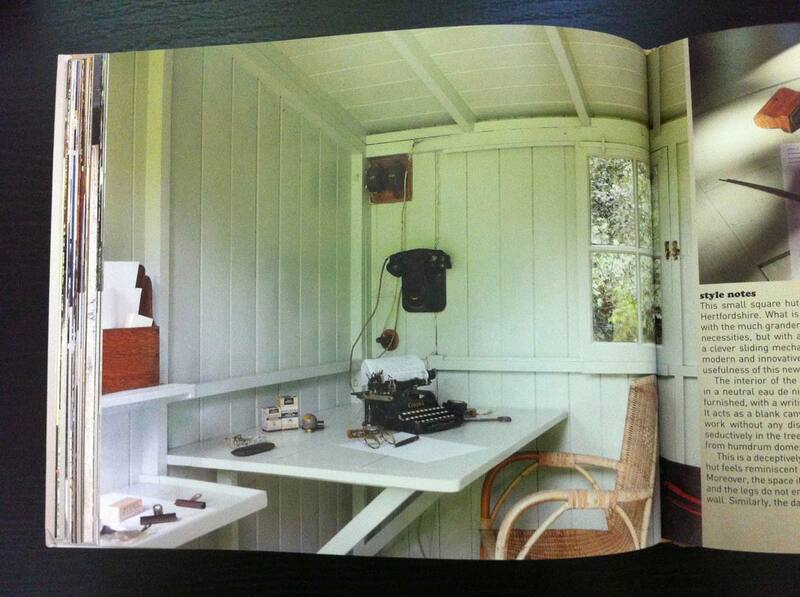 Formerly owned by the famous author Phillip Pullman, a small wooden shed in Oxford now serves book illustrator and writer Ted Dewan. Its purpose is to be used only for creative purposes and must be passed to another writer, artist or musician. 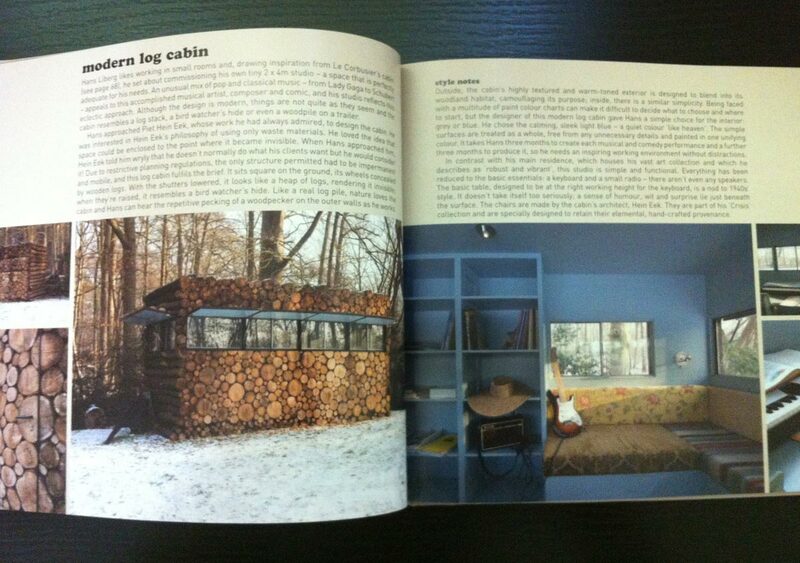 This tiny, mobile 2x4m studio is concealed by wooden logs, blending perfectly with its woodland surroundings. It was designed by the architect Hein Eek for musical artist and composer, Hans Liberg. Designed by renowned environmental advocate, Peter Bahouth, this beautiful treehouse is one of three houses connected by rope bridges, surrounded by woods and lush vegetation. Designed by none other than Le Corbusier in the early 1950s, a one-room holiday home in the Cote d’Azur was actually built for his wife. Inside, simplicity rules. Plywood and oak interiors with fitted furniture and storage serve as a small yet functional living space. Putting aside that this was George Bernard Shaw’s writing hut, the second most amazing thing about it is the fact that it rotates in order to follow the direction of the sun. Simply furnished with neutral eau de nil colored walls it serves as a blank canvas for creativity to spark. 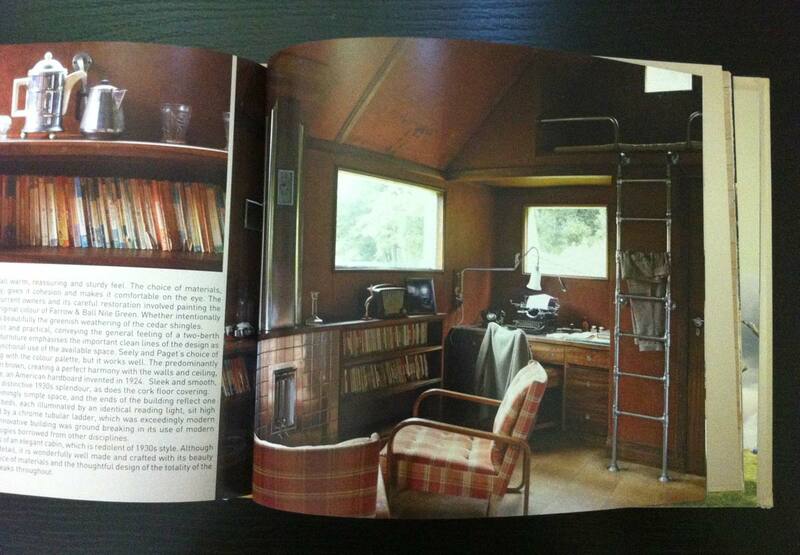 This small yet detailed country cabin was designed by architects John Seely and Paul Paget in the 1930s. Cedar shingles adorn the exterior while inside it’s warm and elegant, featuring two work desks, two bunk beds, a shower room and a tiny kitchen. Modern and ground breaking for its time. Would you believe me if I told you this small beach hut in Kent includes a kitchen, bathroom, sitting and sleeping area for six people? Danish product designer, Nina Tolstrup, rose up to the challenge and created a simple, light-filled seaside getaway. 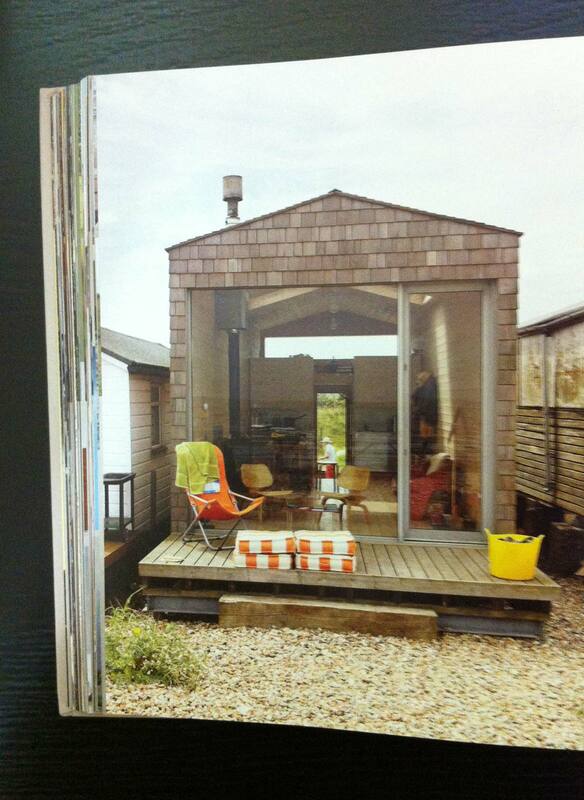 Designed by architect Jeff Broadhurst, this tiny weekend cabin accommodates four people and is self contained. 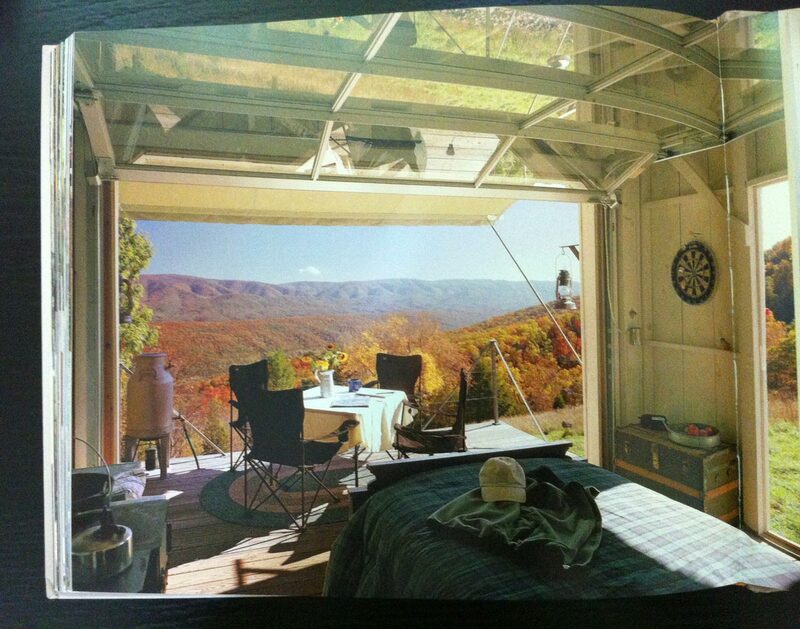 It features a very smart solution for making a small space feel bigger – a glass garage door rises up while a deck area opens onto amazing views of rural West Virginia. Keep in mind this book will not instruct you how to build your own small hideaway but it will surely serve as a wonderful inspirational guide with all sorts of ideas and interesting stories.